Monsignor Vincent A. Tatarczuk, who served the Lord and the people of the Diocese of Portland as a pastor, a chaplain, chancellor, vicar for religious, vicar general, and vicar for temporalities, as well as in many other ways, passed away Friday, December 27, in Florida. Monsignor Vincent A. Tatarczuk was born in Portland on April 12, 1925, the son of William and Anastasia (Malbach) Tatarczuk. After attending St. Dominic Grammar School and Cheverus High School, he went to Holy Cross College in Worcester, MA, and studied philosophy and theology at St. Mary's Seminary in Baltimore, MD. Bishop Daniel Feeney ordained him on June 11, 1949, at the Cathedral of the Immaculate Conception in Portland. Monsignor Tatarczuk began his priestly ministry as chaplain of the Sisters of Mercy at St. Joseph Convent in Portland. In September 1949, he was assigned as assistant at the Cathedral of the Immaculate Conception, Portland. From 1951 to 1954, monsignor studied canon law at the Catholic University of America where he earned his doctorate. Monsignor then served as assistant of St. Christopher Parish on Peaks Island, and on June 1, 1954, he began his long service in diocesan administration. Over the years, Monsignor Tatarczuk served as assistant to the chancellor and secretary, defender of the bond in the Tribunal, chancellor, vicar for religious, vicar general, and vicar for temporalities. At times, he also had parish assignments simultaneous with his diocesan responsibilities. These included administrator of St. Patrick Parish, Portland, administrator of St. Louis Parish, Portland, pastor of St. John the Evangelist Parish, South Portland, and pastor of Holy Martyrs of North America Parish, Falmouth. He was granted the honor of papal chamberlain in 1963, domestic prelate in 1967 and protonotary apostolic in 2000. Monsignor Tatarczuk served as diocesan consultor for several terms. He served on the Presbyteral Council, the Diocesan Pastoral Council, and the Board of Trustees for the Clergy Benefit/Pension Plan. Additionally, he served as president of the Board of Mercy Hospital in Portland, president of the Board of St. Joseph’s College, on the Board of Directors of United Way in Portland, as a trustee of the Curtis Foundation, on the Board of Directors of Southern Maine Comprehensive Health Association, on the Board of Directors of Church World and on the Board of Directors for the Pontifical Mission-Aid Society. Monsignor’s involvements did not stop at the diocesan border. He served on the USCC Accounting Practices Committee. Monsignor was an early member of the Diocesan Fiscal Management Conference which lead to the formation of the USCC Accounting Practices Committee to assist dioceses in developing best practices. Despite all his accomplishments and involvements, Monsignor Tatarczuk’s first love was his Lord, the Church he served so well and his brother priests whom he esteemed greatly. Please pray for the repose of Monsignor’s soul and for the consolation of his family, in particular, his brother Joseph, nephew Michael, and longtime caregiver Karen Metzger. 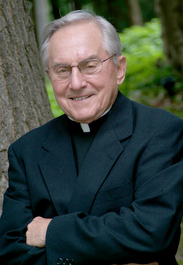 May Monsignor Tatarczuk’s soul and the soul of all the faithful departed rest in peace. Amen.